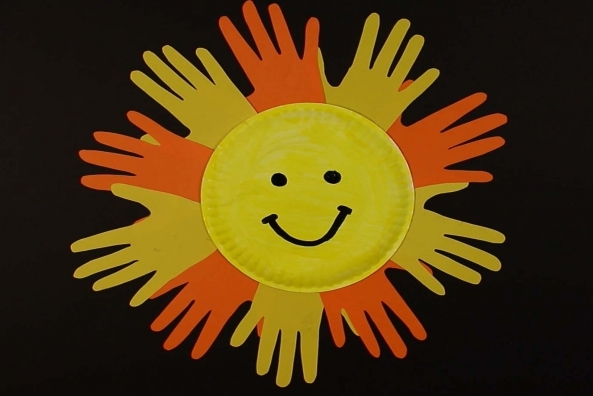 Hand Sun: Paper Plate Craft Project for Kids! 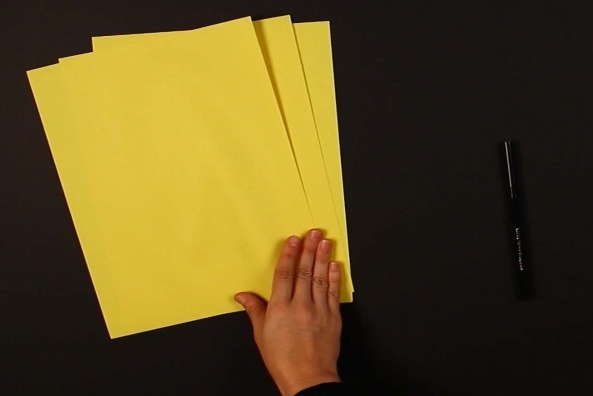 It’s always sunny with this craft. 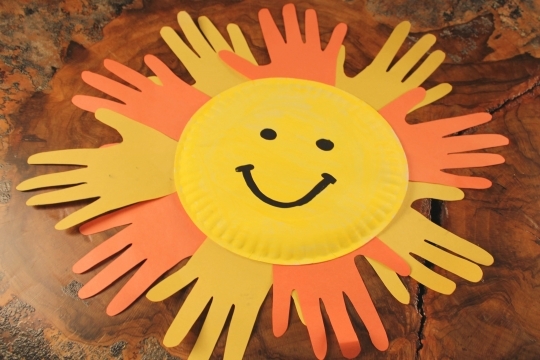 Give the gift of sunshine in just a few simple steps! 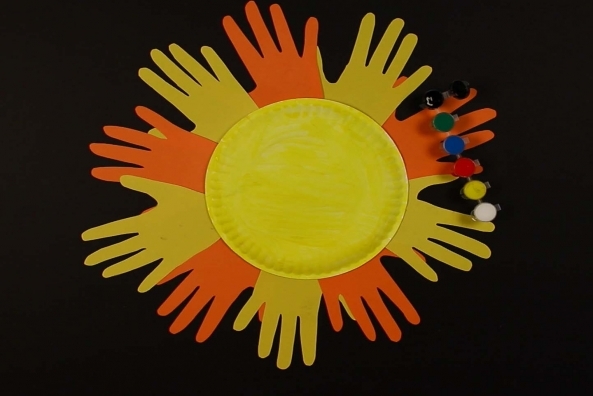 Did you know the Sun is a star? 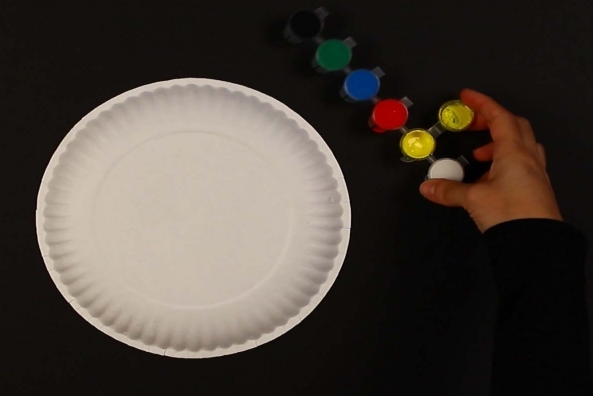 Find out other neat things in this story. 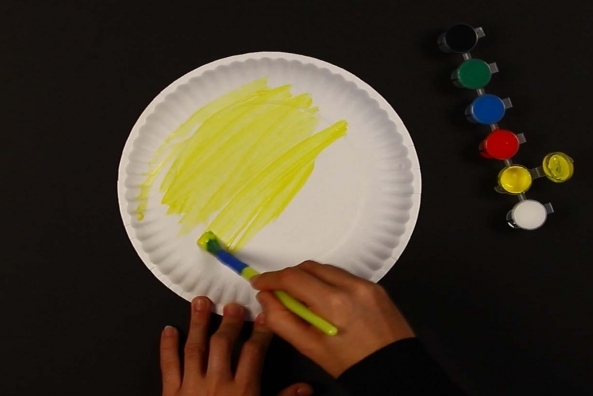 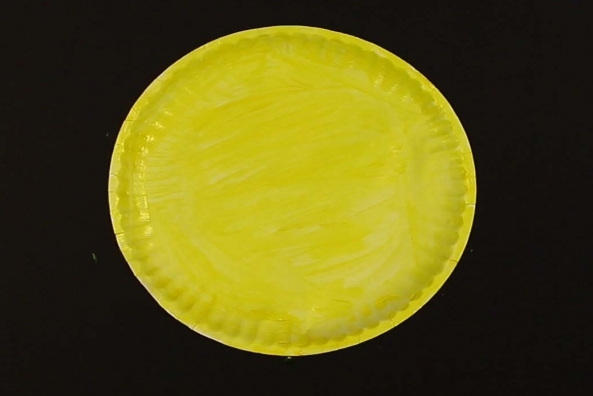 Paint your paper plate yellow. 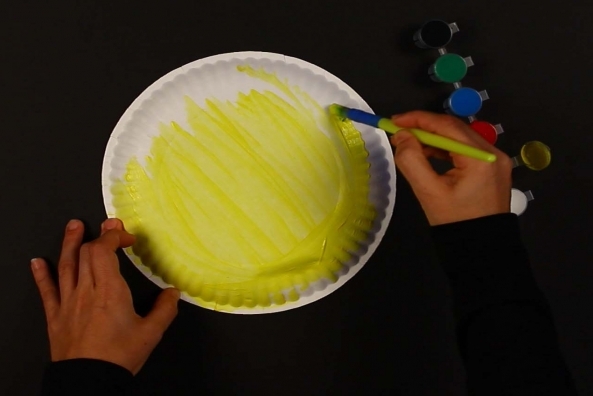 Allow time for the plate to dry completely. 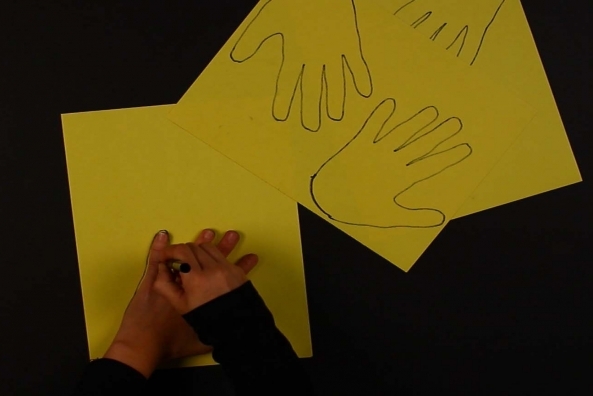 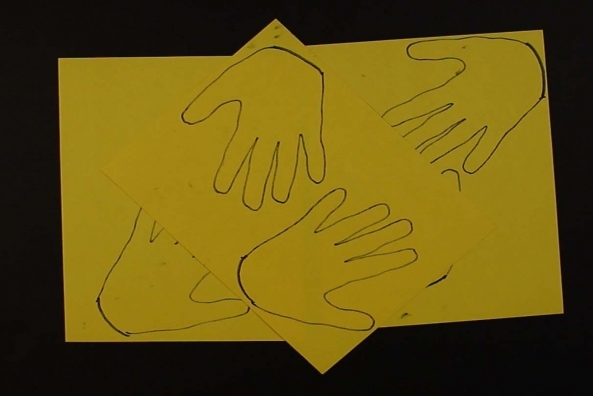 Trace your hand five times on yellow construction paper. 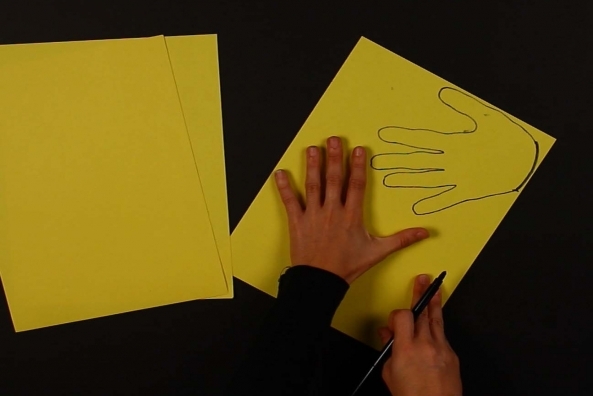 Trace your hand some more. 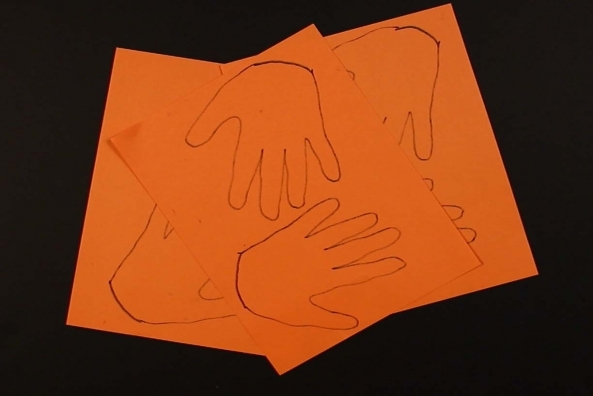 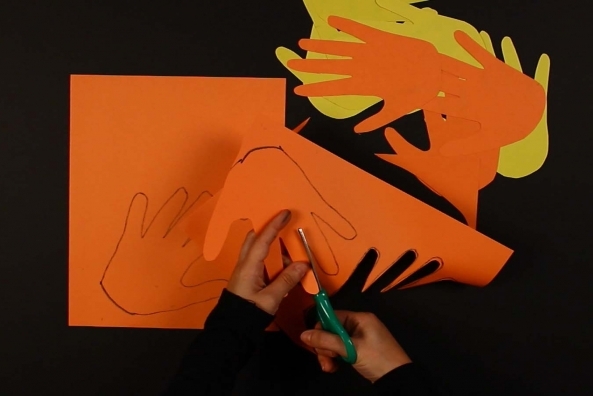 Trace your hand five times on orange construction paper. 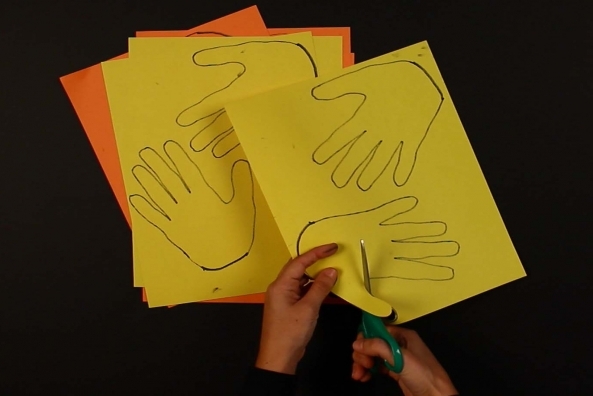 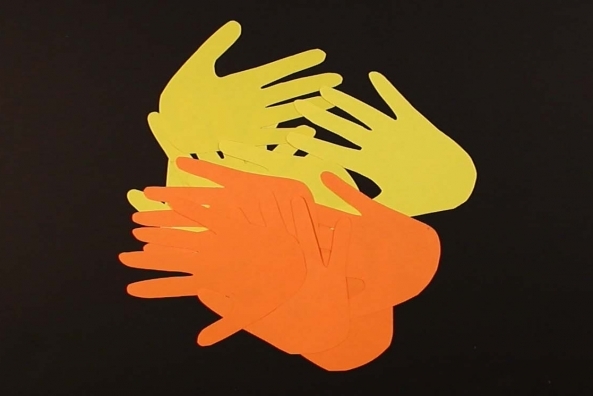 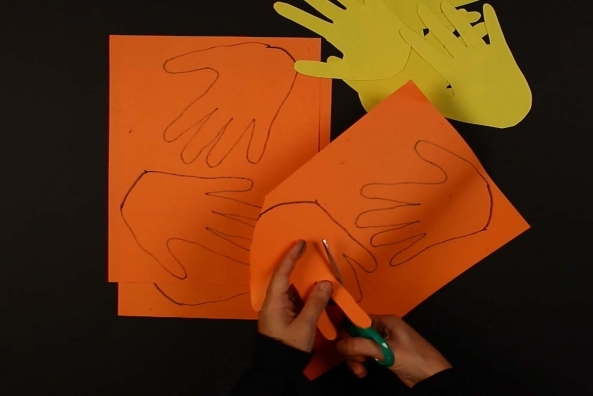 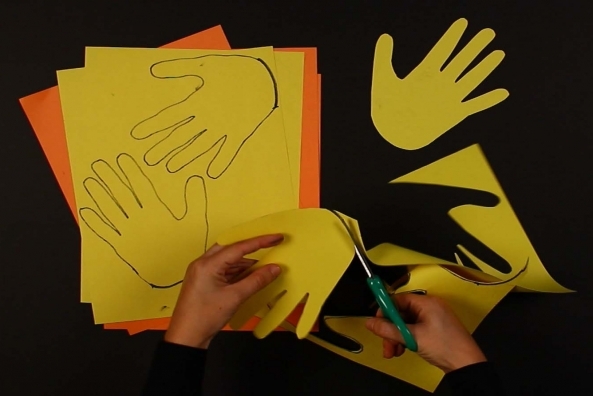 Cut each hand out from the yellow and orange construction paper. 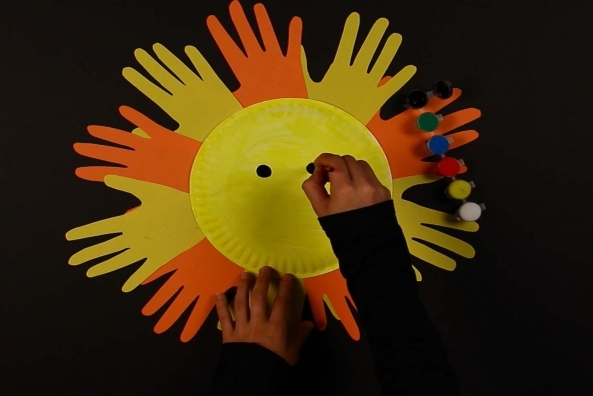 Tape the hand prints onto the back of the paper plate in a yellow-orange pattern so that the fingers are sticking out. 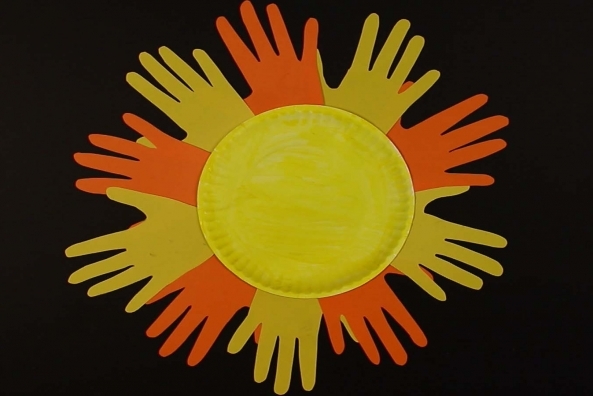 These are the rays of your sun! 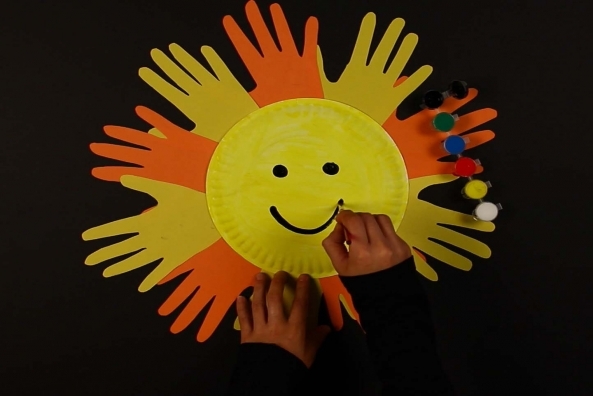 Draw a face on your sun to make it extra cheery with black paint.